Pre-Trial in a car accident case: Should I be nervous? Pre-Trial is one of the last steps in a personal injury case before it actually goes to trial. The Pre-Trial, aside from the actual trial itself, is the most important step of your case which requires judicial intervention. That means that the Court is actively involved in this part of your case, unlike other parts of your case. An examination for discovery does NOT require Judge. A mediation does NOT require a Judge. An independent medical-legal examination does NOT require a Judge. But a Pre-Trial requires a Judge. Without a Judge, a Pre-Trial can’t happen. (save in Toronto/Ottawa and Windsor where Masters can conduct Pre-Trials in Simplified Procedure cases). So, you might be wondering. What exactly is a Pre-Trial? A Pre-Trial is NOT A TRIAL. Think of a Pre-Trial, as you would think of a mediation. Only, it’s a bit more formal, and instead of a mediator, the Pre-Trial takes place before a Judge. NOTE: Sometimes, it works to your advantage having a mediator as the parties select the mediator based on his knowledge in a certain area of law. For a Pre-Trial, the parties are just assigned a Judge by the Court. So, the parties might get assigned a Judge with knowledge in tax law for a car accident case for their Pre-Trial. This can and has happened in the past and will continue to happen in our civil justice system. There is no “judge shopping“. The Judge hearing the Pre-Trial CANNOT be the same Judge who would eventually hear your case a trial. There are many purposes/functions of the Pre-Trial. Accordingly, the Judge will have many jobs to do. -How many witnesses does the Plaintiff plan on calling? -How many witnesses does the Defendant plan on calling? -How many of these witnesses will be expert witnessess? -Will a translator be required for the Court? -Are there any audio/visual requirements that the Court should be aware of? -Is this a jury or non-jury trial? -Are there any accessibility requirements that the Court should know about? -Are there any motions contemplated ahead of Trial? -Have the parties exchanged all expert reports and will-say statements? These housekeeping issues are important for the Court so that the trial (should your matter not settle ahead of time) proceeds smoothly. 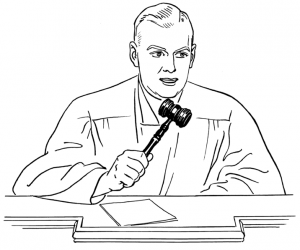 Another big function of the Pre-Trial Judge is to narrow any issues before trial. If any issues can be dealt with ahead of time to simplify the case, or reduce Court time, the Pre-Trial Judge will do his/her best to deal with those issues. The Pre-Trial Judge will then make an assessment whether or not the case is ready for trial. If the case is NOT deemed ready for trial, the Pre-Trial Judge might not allow it to proceed to trial and may strike it from the trial list. Court time is scarce. Court resources have dwindled over the years. If your personal injury case is not ready to proceed to trial, a Pre-Trial Judge has the power to stop the case, or delay the case from proceeding to trial. Once all of the housekeeping matters and issues have been dealt with, the Pre-Trial Judge may then put on his/her mediator hat, and try to get the parties to agree to a settlement. Pre-Trial Judges have many ways of doing this. They may tell the parties what they think of the case. They might tell a Plaintiff accident victim that they have a large credibility issue on account of the surveillance that the defence has gathered and let them know that they have an uphill battle. The Judge might tell the defendant insurance company that they will have to pay significant compensation to the accident victim because he believes they have a strong case. The Pre-Trial Judge might caucus with the Plaintiffs in private, then caucus with the Defendants in private to see if he can ge tthe parties closer to a settlement. The Pre-Trial judge may just want meet with the lawyers without the clients in the room to see if a deal can be had. Either way, there are many techniques which a Pre-Trial Judge can use to mediate the dispute between the parties. There’s no right or wrong way. It all depends on the Judge’s style, and feel for the case along with the parties involved. If the case settles at Pre-Trial, then both parties are pleasantly unhappy. Afterall, a good settlement means that neither party is entirely happy having compromised in order to settle the case. If the case does not settle at Pre-Trial, then the parties will wait for their trial date. Many clients want to know where the Pre-Trial takes place. It all depends on the Court. In Toronto, Pre-Trials generally take place in the Judge’s chambers. I’ve conducted Pre-Trials in London at the Courthouse in a cold boardroom. At the old Whitby Courthouse, I did a Pre-Trial in what appeared to be a classroom. The Pre-Trial will generally happen in a closed room to the public. This can also be the courtroom itself provided that it’s closed. It all depends on Court resources and room availability. Many clients also want to know if what they say at Pre-Trial makes part of the public record and can be used against them later at Trial or in another proceeding. The nice thing about Pre-Trial, just like mediation is that it’s CONFIDENTIAL and held on a WITHOUT PREJUDICE basis. That means that whatever you say at Pre-Trial cannot and will not be held against you later on in the case. Any offers that are made at the Pre-Trial, stay at the Pre-Trial unless otherwise specified. So, it’s entirely possible to see one time, take it or leave it offers at Pre-Trial which you won’t see ever again. Sort of like a fire sale on offers to settle the case. When parties are firmly entrenched in their respective positions, the Pre-Trial provides a good opportunity to hear what an authoratative figure (a Judge) has to say about their respective cases. Often, after hearing a Judge’s opinion about a matter, parties have a tendency to become less entrenched in those positions. Hearing from a Judge that you have a difficult case is never an easy pill to swallow. It doesn’t matter if you’re a Plaintiff, or a Defendant. Hearing that news at the Pre-Trial is certainly better then hearing that news at Trial. Because at Pre-Trial, you can do something about it. If you have a difficult case, you will hear about it and adjust your position accordingly. At trial, it’s too late to make these sort of adjustments. Once you’ve started and invested all of that time and money into the case, it’s hard changing course.